I met Jean Fullerton through the RNA absolutely AGES ago – I can’t put a date on it because it feels as if I’ve always known her. 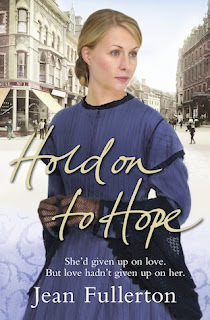 She’s another author I love talking with about history, and she’s also a planner like I am, so she understands how I write and doesn’t think I’m totally mad :o) I always look forward to seeing her at RNA dos because I know I’m going to get a huge hug from her. She’s lovely. So are her books. ’Nuff said. Jack the Ripper is my PR man. Now I don’t want you to think that by some bizarre shift in the time space continuum I’ve managed to reach back a one hundred and thirty year and whisk the 19th century perpetrator of the Whitechapel murders forward to 21st century London, but the fact that his exploits are known, followed and written about in all four corners of the globe does me no end of good. Let me explain. I was born in the London Hospital in Whitechapel, which it’s no more than a ten minute walk from all of the murder sites. It was also the same hospital where Thomas Horrocks Openshaw, a senior surgeon, helped the police with forensic analysis of the notorious kidney through the post. When I left school I worked in a clothing factory Fashion Street – the street between George Street where the first victim, Martha Tabram, was found and Hanbury Street when victim number three, Annie Chapman, was discovered. 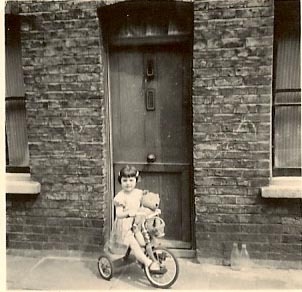 I regularly walked through Dorset Street, where the last victim Mary Kelly was lived and died. And I’m not the only one who knew the area well. My grandmother’s census return for 1891 gives her address as Princelet Street, just off Brick Lane and in the middle of the Rippers victim sites. It’s a bit unfortunate the area is best known for a mass murder but, like the Krays in the 50s and 60s, good old Jack has taken on legendary status amongst the local. Even now you’ll meet people who will tell you their grandmother ran into or narrowly missed becoming one of Jack’s victims. There is also a thriving industry based around walking in his footsteps. Any night of the week you can see crowds of people gathering at Aldgate East Station to stroll the hour-long trail through what is left of Jack’s hunting ground. This brings me neatly back to my original premise that Jack the Ripper is my PR man. Although a little earlier than Jack’s notorious deeds, all my books are set in the same dark streets of Whitechapel, the London docks and riverside area. Places that I have known all my life but no matter where I am, Europe, mid-west of America, Mexico or even Japan if someone asks me where my books are set I just say ‘Whitechapel, East London, where Jack the Ripper operated’ and immediately all those images of seedy alleyways, Victorian Policemen shining lights on a body and Mary Kelly’s blood splattered room flash into their minds. Job done! 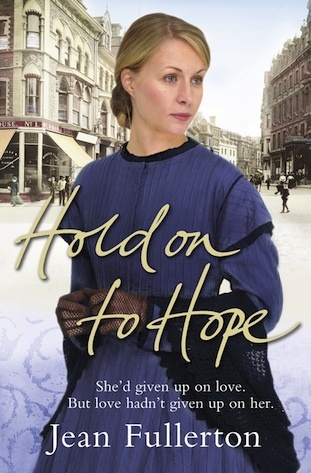 To celebrate Kate’s wonderful 50th book release I’m giving away two copies of my latest book Hold on to Hope. 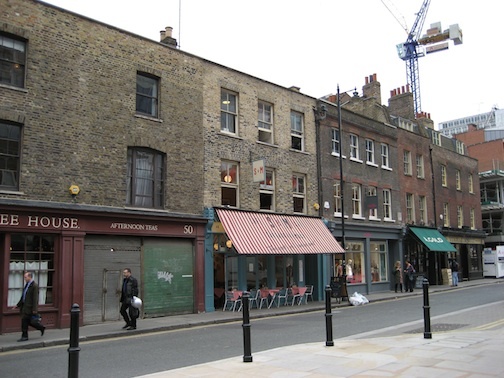 The villain, Freddie Ellis, is the leader of the Black Eagle gang who operated out of the notorious Blue Coat Boy beer shop in Dorset Street so you can have a little stroll around the area yourself. Fabulous post ! Thank you so much for telling us about your book it sounds amazing ! 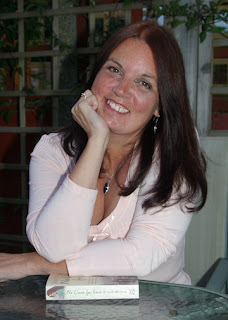 Fascinating and exciting blog Jean. I have to 'fess up to having done one of those walking tours. But let me tell you it was a GREAT night out! Very atmospheric. Strangely enough, one of the most striking thing to stay with me was the fact that some houses used to have 50+ people sleeping in them, and that they used to sleep draped over ropes! Amazing when you think about it. Good luck with your latest book - it sounds fab! Caroline x p.s anyone thinking of doing a Ripper walking tour - do it - you won't be disappointed! Fascinating post, Jean. I discovered your books when you were nominated for the RNA award and have been a fan ever since. Your latest looks terrific and it's gone on my must-buy list! Thanks, Desere and Caroline, I'm glad you enjoyed my Jack the Ripper family link-up. And, Caroline, I have a picture of two of people sleeping on the 'line'. Thank you Julie B. You've made my day. Look out for the next one, Call Nurse Millie, where I jump forward a 100 years to VE day 1945. Nice post. The book sounds good.